In order to find solutions for a particular problem, or just to find an answer to a particular question, people use a tool in the internet known as a search engine. An example of a very famous search engine is Google. A search engine prompts the user for a keyword, then the engine uses the keyword provided as a tool to present websites that may have the content that the user wants from the web. Website owners, in turn, generally have knowledge on how search engines work and aim to have their website come out as the top result when users type in a keyword that matches their website’s content. This is where website owners plan out their implementation of SEO. 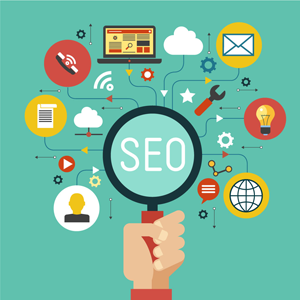 SEO stands for Search Engine Optimization, a technique employed by website developers to make their work go at the top of results of a search by using targeted keywords more often in the content of their website. One method of SEO is done in accordance with the concept that search engines display a website’s URL based on how many times a keyword is mentioned in a website. For example, the keyword is “programming”. If a.com mentions the keyword ten times while b.com mentions it only twice, the search engine will display a.com at the top. Although the concept seems simple, the implementation of SEO is not that easy. The aforementioned method requires careful insertion of the keyword in various locations of the website’s content so as not to destroy the clarity of information and the web design. Another method would be to insert images that are related to the keyword, but the algorithm for that concept could be quite tedious for the web developers to implement in the website. Despite that fact, website owners should take SEO into consideration when developing a new website. Successful application of that technique means success of the website, since it is the website’s URL that will be on top of a search. Keep in mind that search engine users are usually too lazy to scroll down the list of results, and prefer looking into the top result instead. Being on top of the search result means having the website frequently visited by web surfers. On the other hand, having a spot at the lower part of the search list increases the chance of rendering your website useless and not getting browsed by users. Setting up the basic point, search engines are the primary tools that most website owners use to advertise their website. The challenge is in how the owners make a top spot in the search results. This is done through SEO. Owners should have in-depth knowledge of how search engines work, preferably they should know the algorithm applied by the search engine in displaying results of a keyword search. Take note that even though the use frequency of a keyword is often the basis of a search engine to display as a top result, excess use of a keyword in a website’s content could prove annoying or disorienting to people who might browse their website. Try to find more ways on optimizing search engines.